Here are some pics of my Adeptus Mechanicum army. 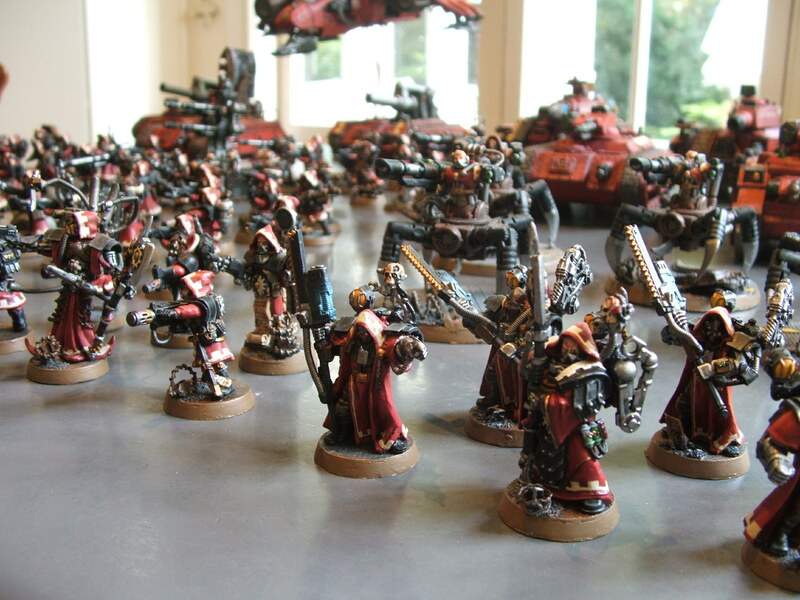 I fielded this army using the Imperial Guard codex, as I thought the rules best represented the ranks of skitarii and techguard to be found defending the many forge worlds of the Imperium. I haven’t done much with this army for a little while now, however with the huge amount of new models from Forge World, not to mention the Imperial Knight, I think I will be returning to this army in the near future.